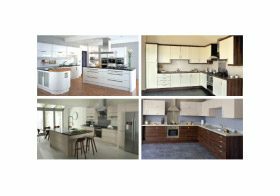 Price Kitchens have been supplying and fitting quality kitchens to customers across Beckenham and the south east for over 30 years and we have recently extended our offering to include fitted bedrooms. We are a family run business with extensive experience of home design and by applying our knowledge of kitchens to the world of stylish bedroom design we’re confident that we’ve come up with a range of bedrooms suitable for all tastes. We pride ourselves on offering the very best levels of service, no matter what your budget, and our unrivalled experience with top quality materials and equipment ensures the highest level of finish for all our bedroom designs. We’ve built and installed hundreds of kitchens across Beckenham, with many a satisfied customer, and we aim to replicate this success with bedrooms too. Our professionally trained design experts will be happy to discuss your specific requirements in person and all our bedrooms come complete with fixtures, fittings and furnishings as required. Able to make the most of any space, in any style, we’ve got the range to fit your needs. Simply get in touch to find out more or why not visit us in person and see the whole bedroom range for yourself in our showroom?